Have you already tasted François Chidaine’s wines? Let them surprise you with their purity, finesse, their full-bodied character. They are simply wonderful. So wonderful that we had to make sure you get the chance to (re)discover the work of the extremely talented winemaker. 2018 was a great year for François Chidaine, with whom we were lucky enough to speak shortly after the harvest. 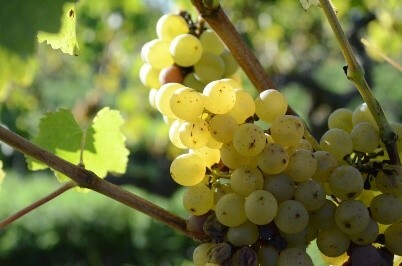 While this year was very early given changes in the climate, it produced grapes of great purity. It wasn’t without difficulty. 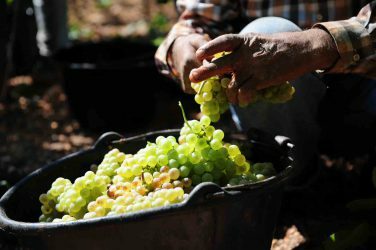 To avoid the grapes filling with sugar and producing wines that are too alcoholic, they had to be picked quickly. By hand, of course. François Chidaine has seen many vintages. Hailing from a winemaking family native to Montlouis-sur-Loire, he began working with his parents in 1984, before creating his own domain 5 years later, a mosaic of vines which cover a total of 4 hectares. “My parents passed their love for work in the vineyard and respect for nature on to me. Neither of the two ever worked with synthetic fertilisers.” He was convinced by his family as well as Didier Dagueneau and Nady Foucault (Clos Rougeard) to work following organic, the biodynamic principles. In 1999, his parents retired and passed their 13 hectares of vines to him. François Chidaine now cultivates 30 hectares of Chenin blanc as well as 7 hectares of other regional varieties such as Sauvignon, Pinot noir, Grolleau, Cabernet Franc, Côt and Pineau d’Aunis. This variety allows him to produce fresh wines which can be drunk young to savour the fruit. That of course means working hard… and finding inspiration! Which is exactly what François Chidaine, and other producers striving for the same level of purity, do. Nowadays, it’s time for him to inspire his children and to assume the role of teacher. His daughter Alice and son Pierre must learn and understand the work that has been carried out to get them to this point. The profession of grapegrower and winemaker is one which requires taking a step back, experience, understanding the vineyards and the cellar. In a family business, an upheaval of sorts is necessary with the arrival of a new generation. Well there you have it, fellow oenophiles, now you know all there is to know about this emblematic winemaker of the Loire. This cuvée is vinified in demi-muids with native yeast. The bottles remain on slats for a minimum of 12 months. On the nose, it delivers aromas of white flowers and citrus, which are found on the palate, accompanied by fine minerality, and generous, full substance. Chenin d’Ailleurs is a dry, mineral wine, with aromas of citrus and white fruits. On the palate there is a nice balance, purity, a great amount of elegance and a fresh finish. Clos Baudoin is a very nice dry white, fine and complex, which is perfect with fish, shellfish, poultry or even goat’s cheese. It expresses fresh notes of citrus fruits, stone fruit and notes of white flowers. The palate is balanced, round, with a pleasant minerality and a fine length. Les Argiles is a wine made from the Chenin Blanc grape variety. 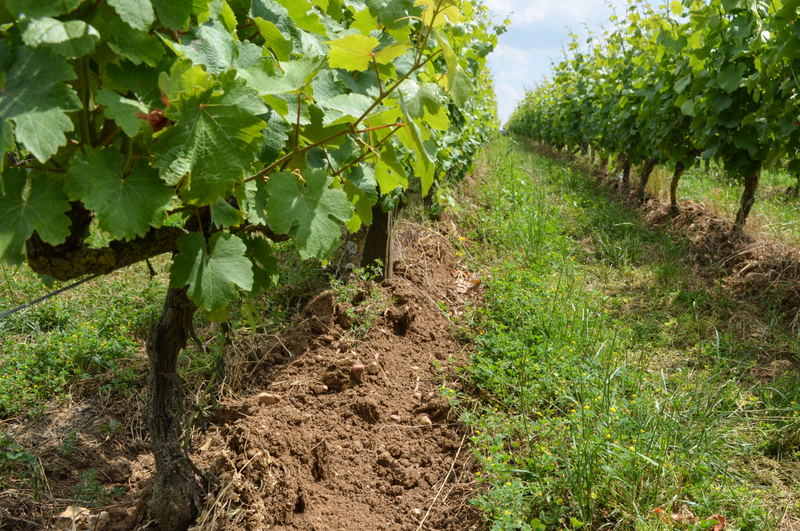 The vineyard is ploughed and nematicides and melliferous plants are sown in the rows. The only preparation used comes from animal, plant and mineral matter. The soil consists of clays and white chalk. The wine is exclusively fermented by native yeast, in demi-muids (wood, 600 litres). There is no malolactic fermentation. The resulting wine has a clear and luminous hue, with hints of lemon and white fruit on the palate and nose. Nice balance, tense and saline finish. Montlouis moelleux is vinified with ambient yeasts, and raised on fine lees in demi-nuids for 11 months. For this cuvée, the grapes are picked when overripe, more or less dried undeer the sun or affected by noble rot. This cuvée offers aromas of citrus fruits, notes of honey, quince, candied and exotic fruits. On the palate there is a nice balance between suppleness (around 40g/l of residual sugar) and freshness. 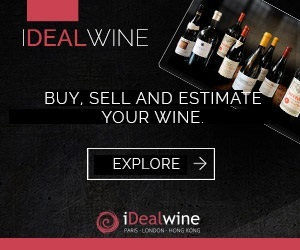 This wine is characterised by its roundness, body and very long finish. This wine is vinified in demi-muids with native yeast, then aged on fine lees, still in demi-muids for about 11 months. It exudes beautiful aromas of white fruit, as well as pebbled notes. On the palate, we find great aromatic complexity, superb balance and a good length, pleasantly bitter. Les Tuffeaux is vinified in demi-muids then raised on fine lees for 11 months. It is very fragrant, with ripe fruit flavours. On the palate, there is a delicate freshness, good balance, and a nicely acidic finish. 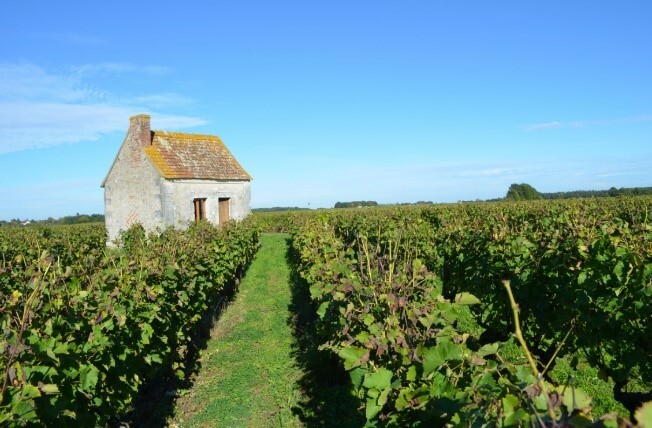 Les Lys is only produced in the best years with grapes from a selection of several parcels. On the nose, there are notes of candied fruits and honey and a very long finish. An excellent sweet wine from the Loire. 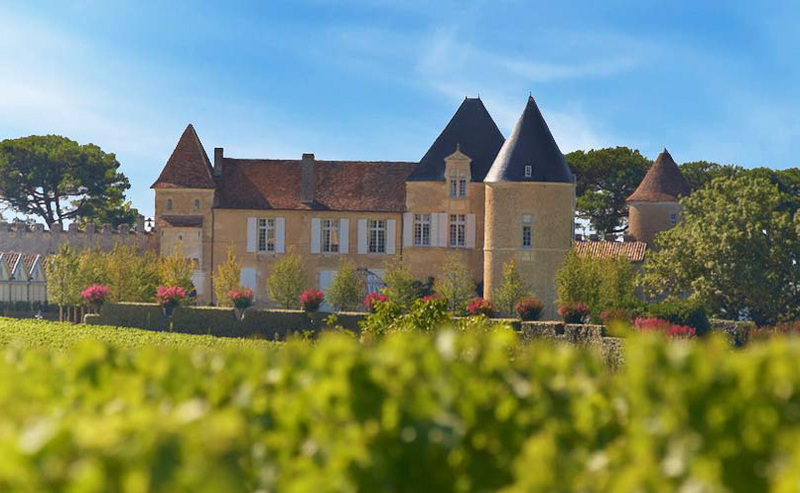 Les Choisilles is the estate’s most representative cuvée, produced from a selection of plots that are never segregated into a specific cuvée. After manual harvesting, vinification (with natural yeasts, as with all of the estate’s wines) is carried out in 600-litre demi-muid barrels. Elevage is carried out in these same containers, on fine lees, to nourish the wine. This dry Chenin cuvée exudes a bouquet of white peach, citrus fruits and delicate mineral notes. The palate offers a balance between freshness and liveliness, with a superb, ample and slightly bitter finish. Les Bournais is the last of the Chidaine wines, produced from a plot of land that enjoys fantastic exposure overlooking the Loire. The land was discovered by François Chidaine in 1989 during one of his walks. He replaced the fruit trees with vines that are today aged a little over 10 years. The planted surface area measures barely more than two hectares on clay-limestone soil, with a bedrock of chalky « tuffeau » limestone. This fantastic land always produces very dense wines equipped with wonderful strength of character, helping them to stand out quite clearly from the appellation’s other cuvées. Impressive length. François Chidaine comes from a family of winemakers native to the appellation Montlouis-sur-Loire. Before founding his domain, he worked at his parents domain from 1984 and immediately took on important responsabilities. He decided to create the domaine François Chidaine in 1989 with a total of 4 hectares of parcels. The winemakers Didier Dagueneau and Nady Foucault convinced him from the beginning to work organically. The first five years were difficult at the domain. The winemaker adapted though, and in 1989, he began converting to biodynamics on the advice of his consultant François Bouchet. In 1999, his parents retired and passed on all of their vineyards to their son, and thus François Chidaine began managing a domain of 17 hectares. He works alongside his wife Manuela who opened a tasting cellar in 2000. In 2002, the winemaker took on the vines from Clos Baudoin and reached a total of 27 hectares. The domain’s clientele, at the outset 70% international, has returned to France upon his conversion to biodynamics. Since the beginning in 1989, François Chidaine has become one of the most important white wine producers in the Loire, stylistically peerless, and now venerated by many other winemakers. His is one of the producers to have brought Montlouis to the fore, and in the early 2000s, he expanded into Vouvray, with, in particular, the Clos Baudoin which he bought from the Poniatowski family. 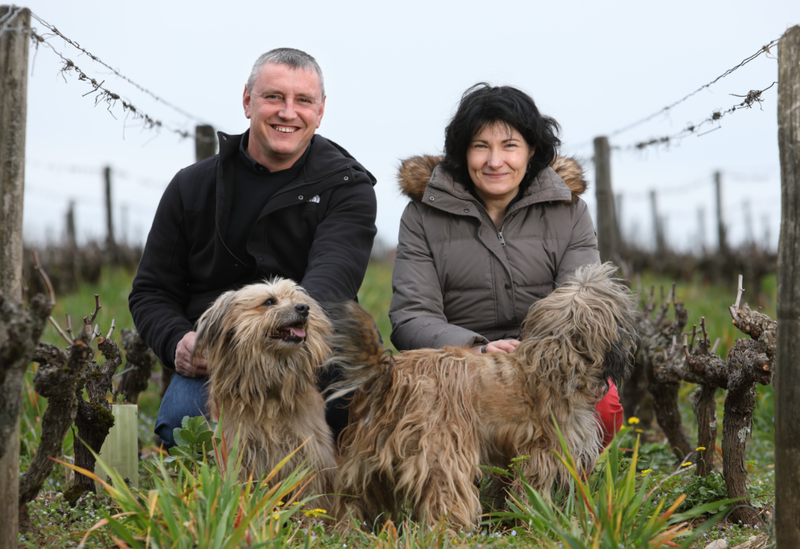 Helped by his wife Manuela, François has ceaselessly striven to refine his vinifications and élevages, with very exacting work in the vineyard, which have been certified biodynamic since 1999. We have nothing but praise for this exceptional winemaker’s wines. The wines : the ripe, delicate style of the domain was present with the Méthode traditionnelle 2015, whose voluptuous and fleshy substance is purified by an incredibly spicy finish. The terrible frost of 2016 (the domain lost 90% of their crop), François Chidaine bought Chenin from Limoux in order to produce the lovely cuvée Chenin d’Ailleurs, which is delicious already in youth. After sunny, exotic 2015s, the 2016 contains more of what one would expect from the great white wines of the Loire. The exotic touch of the Bournais appears in the nuanced aromas of pineapple and mango. 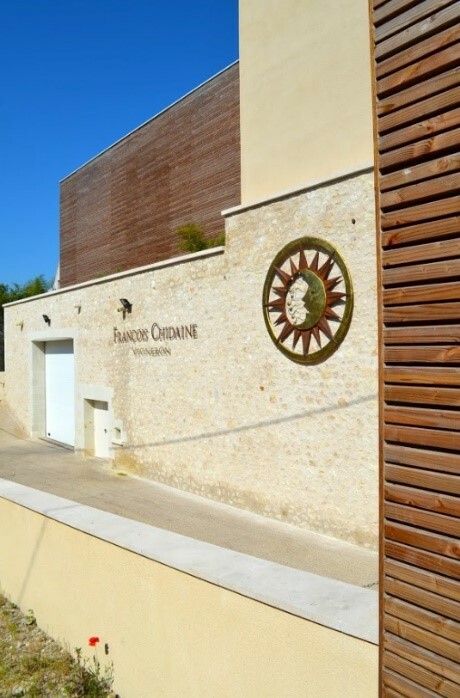 The 2014 and 2015 vintages allowed François Chidaine to show what he can do, and all of his cuvées from the 40 hectares of vines are a triumph. Both the Vouvrays and the Montlouis are brilliant. The whole range is of very high quality and makes this domain fantastic value for money in terms of producers of dry, semi-dry and sparkling Chenin.